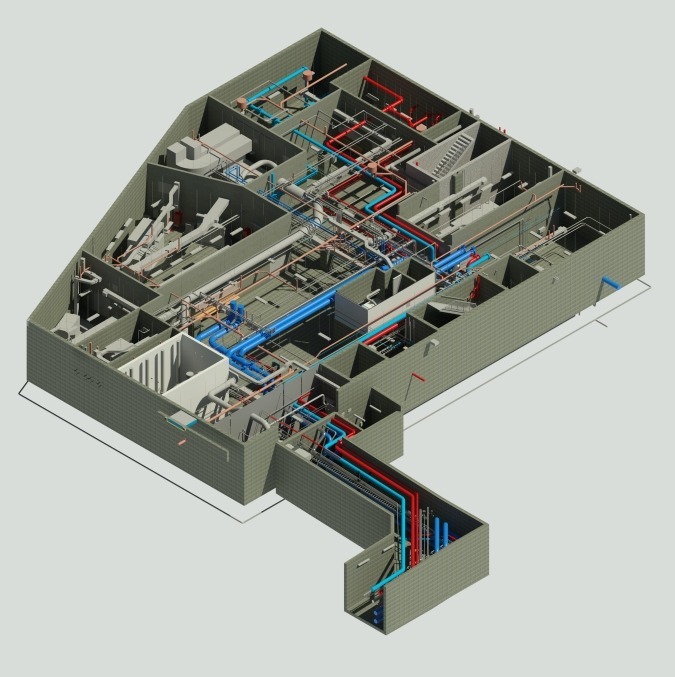 This project consists of the design of a West Campus Central Energy Plant and utility distribution. The central plant will include electrical distribution switchgear, standby generators and the associated distribution switchgear, high-pressure steam boilers, and electric chillers and the associated cooling towers. The utility distribution will be done through new underground tunnels and separate electrical duct banks. The chiller plant will be located in a prominent location on the hospital’s West campus, which is currently being developed. In addition to the building adapting to a “wedge” site, the building is being designed to have architectural features that will coordinate with existing and future buildings on the West campus. HAWA Inc. provided design services for the MEP systems, including low-voltage structured cabling.